I'm having a bit of a felted fetish. 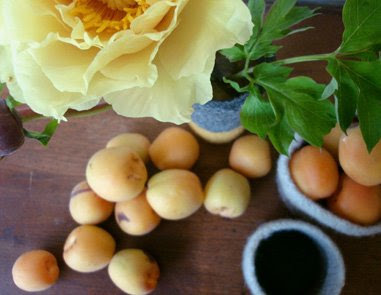 Wouldn't these be super cool centerpieces with the single tree peony? By Patty of Papaver Vert on Rose and Radish. So I have a request for you. You don't have to do it if you don't want to, but we have decided that he is going to buy a suit instead of renting a tux, and I have no idea where to start searching to research slim fitting suits. Nothing overly expensive, just a good quality suit that is going to last for a long time. Jenna, I would love to. 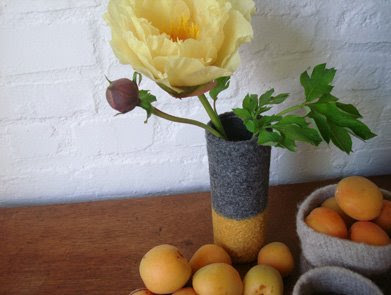 I love love these felt vases! great find!